Stunning MILLION DOLLAR VIEWS as you drive over the bridge to YOUR exclusive Bankers Island home! Wake up to sunrises bouncing off Mt Rainier & unobstructed Lake Tapps views from almost every window! 4 master sized bedrooms + 3.5 bathrooms, large kitchen & formal dining w/bright windows, 2 living spaces w/cozy wood burning stoves provide fun entertaining areas or head outside to multilevel decks, patio, 117' of breathtaking water frontage, firepit & private dock. Super clean & move in ready! Lot Size: 0.24 Acres / 10429 Sq. Ft. Directions:From W Tapps Dr E, turn onto 45th St E, follow over bridge onto Bankers Island and turn right into cul de sac. SchoolsClick map icons below to view information for schools near 4461 185th Ave E Lake Tapps, WA 98391. Lake Tapps Real Estate at 4461 185th Ave E Lake Tapps, WA 98391. Description: The real estate listing at 4461 185th Ave E Lake Tapps, WA 98391 with the MLS# 1391668 has been on the Lake Tapps market for 133 days. 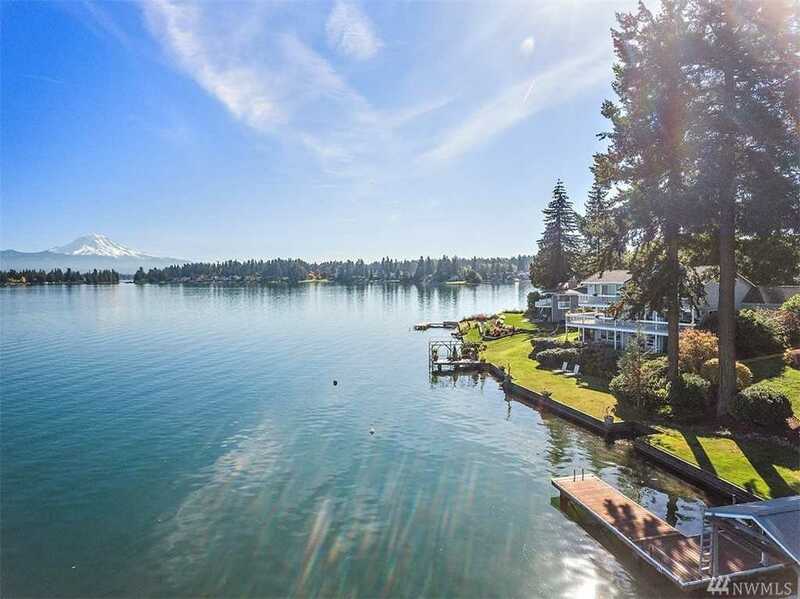 This property located in the Lake Tapps subdivision is currently listed for $900,000. You are currently viewing the property details of the NWMLS listing at 4461 185th Ave E Lake Tapps, WA 98391, which features 4 bedrooms and 4 bathrooms, and has approximately 2953 sq.ft. of living area.